Last year, Huawei was the only manufacturer that provided routers for LTE Advanced category 6 with download speeds of up to 300 Mbit/s offered in Europe. 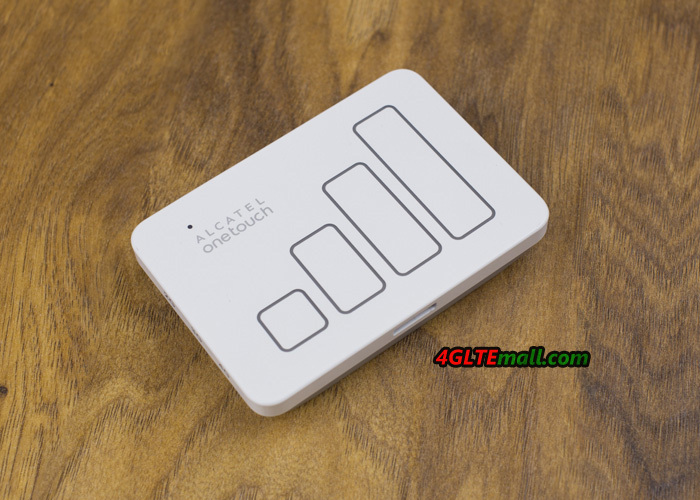 The Chinese company TCT Mobile has now also introduced the Alcatel Y900 hotspot LTE Cat6 modem on the market and provides this even considerably cheaper than the comparable Huawei E5786 router. 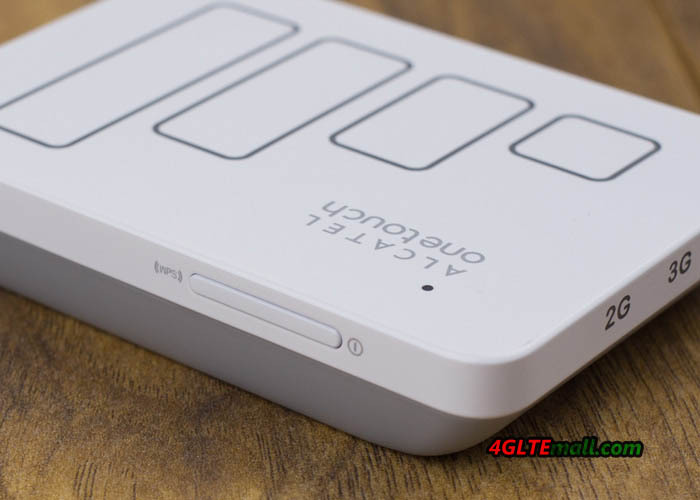 Today we will have a review about the new Alcatel Y900 4G Mobile hotspot. 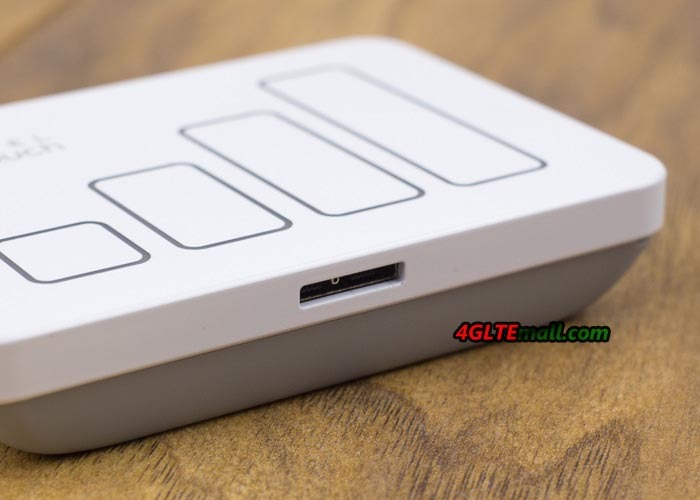 The Alcatel Y900 LTE Hotspot is comparatively small and compact and weighs only 88 grams including the battery, considerably less than current smartphones. The body is made entirely of plastic, and is possible to remove the back to insert the battery, SIM card and a memory card. The Alcatel Y900 doesn’t have a display, instead, decorated with large LED which strips the front. The used mobile communications technology (2G, 3G, 4G) is signaled with lateral LEDs. In the test, the LED display made a good figure, with displaying consumed data volume, battery status and time spent online. The modem in Alcatel Y900 Hotspot supports speeds of up to 300 Mbit/s downstream and up to 50 Mbit/s upload speeds on the 4G mobile network. The LTE Advanced Cat6 has been activated at some locations in Europe and the tariff also allows these high speeds. Of course, the router is also backwards compatible with the previous LTE Stages Cat3 and Cat4, also of course, UMTS (3G) and GSM (2G) are supported. In the test under Telekom network, the speeds of almost 200 Mbit/s downstream and 50 Mbit/s in the upload can be achieved, which is very good compared with similar devices, even if the technical maximum speed was not reached initially. Which is important for many applications is latency when tested between 20 and 35 milliseconds in the LTE network of Telefónica O2. The reception was good, even with a weak signal, a speedy web surfing was still possible. Unfortunately, Alcatel Y900 has no external antenna to connect. For a mobile LTE router, not only a current and receiving strong Modem is important, but also a good Wi-Fi module and a fast USB or LAN connection, so devices such as computers, notebooks and tablets can also use the full internet speed of the modem. The Alcatel Y900 is well positioned here. The WLAN module works on both 2.4 GHz and 5 GHz (dual-band WLAN) and even supports the current and very fast 802.11ac standard. If you want to use the router to a computer without a WLAN, you benefit from the fast USB 3.0 interface – A relevant cable is already included. Unfortunately the internet is not encrypted, so you can connect without a password to the network. As a user you should quickly assigned a unique password so that foreign users do not get access to the WLAN of Alcatel Y900. The configuration of the Alcatel Y900 could be done either in a browser via the web interface or via an app for smartphones and tablets. Supplied with a small piece of paper, the QR codes for easy installation of the app is provided for an Android or iOS device. Both the app and the web interface in the browser are attractively designed and very easy to use. 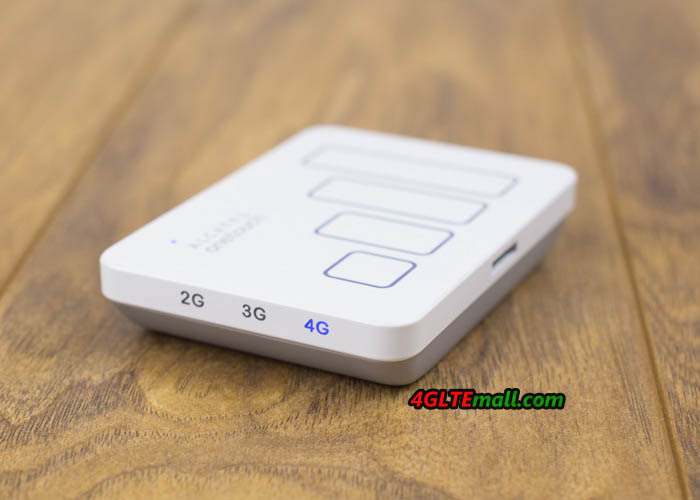 In addition to common settings for wireless connection, you can also receive and send text messages and access the data on the memory card. In the test, both the smartphone application and web interface worked always reliable and fast. The Alcatel Y900 battery has a capacity of 1,800 mAh and is very easy replaceable by the user, ie you can buy extra batteries and thus survive even during long trips without external power supply if required. The operating time of the test was constant subjection to the LTE network in about 5 hours. 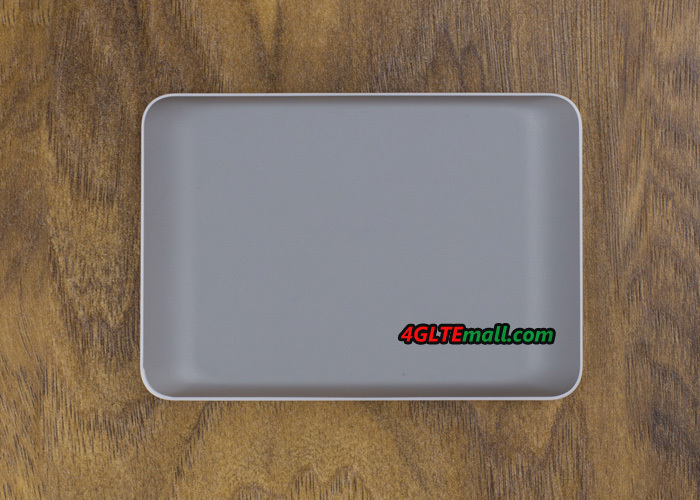 According to Alcatel, there is a much more powerful battery with 3,600 mAh for the Y900 4G Router, thus a useful life of about 10 hours would be possible. But the version with high battery capacity is not yet available. Anyone looking for a fast and secure future LTE hotspot, can safely pick up the Alcatel Link Y900.The small router convinced with good data rates in the LTE network and a fast dual-band wireless. The Alcatel Y900 is optionally available in black or in white, and works with all SIM cards, a SIM lock or NET-Lock does not exist. Directly from the network operator with the contract, you can buy the Alcatel Y900 without a contract from http://www.4gltemall.com. 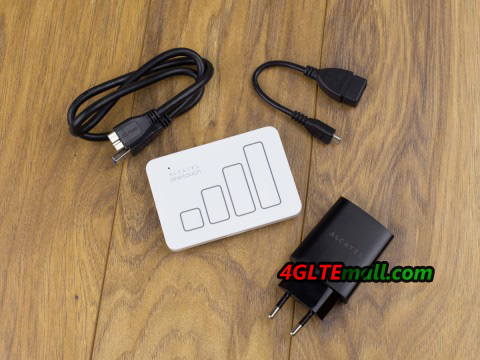 An alternative more expensive model is Huawei E5786 hotspot, which provides a small display, a more powerful battery and connections for an external antenna compared to Alcatel Y900.